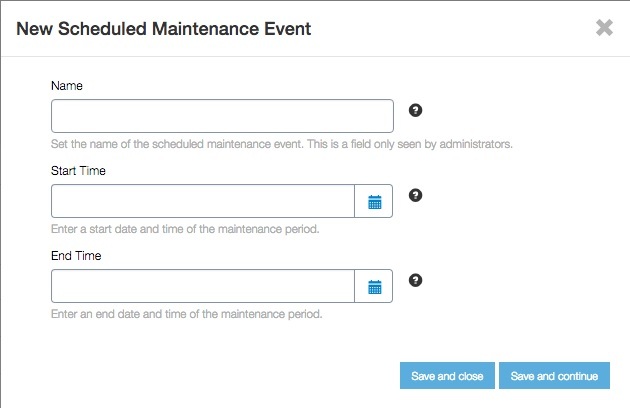 You can create a scheduled maintenance event and apply it to the desired endpoints. This will result in API calls not directing to the selected endpoints during the maintenance time. On the Scheduled Maintenance Events page, click the New Scheduled Maintenance Event button. The New Scheduled Maintenance Event pop-up window is displayed. In the Name field, enter a name for the maintenance event. You can add endpoints to the maintenance event. Refer to Managing Endpoints for more information.